Dr. Michael Fiedler has served as a university faculty member, department chair, and anesthesia clinician since 1986. His chief areas of interest are evidence based clinical problem solving, quality improvement, and risk reduction in anesthesia and critical care. He is an adjunct associate professor, continuing education lecturer, and author of journal articles and book chapters. He continues to provide clinical anesthesia in the Birmingham area. He is the publisher and editor of Anesthesia Abstracts. Dr. Robin Fiedler has been an educator since 1979. 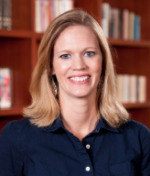 Presently, she is an assistant professor in the School of Education at the University of Alabama at Birmingham. She has previously served as a teacher, principal, vice–principal, and educational specialist in public and private sector preschool and elementary schools. She regularly contributes to a national parenting magazine and conducts seminars for teachers with a not–for–profit organization about best practice procedures. Dr. Jennifer Larimore is currently researching the molecular mechanisms of a neurodevelopment disorder. She has published several articles in this field. Her research involves undergraduate students at Agnes Scott College in Decatur, Georgia, where she is a faculty member in the Biology department and Neuroscience program. Dr. Kenneth Taylor has served as an anesthesia clinician since 2011. He has provided anesthetics to both the adult and pediatric population. He is currently practicing pediatric anesthesia at Children’s of Alabama. His four primary areas of interest are cardiothoracic, pediatric, and ultrasound-guided regional anesthesia as well as pharmacology.